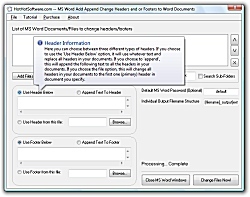 MS Word Add Append Change Headers and or Footers to Multiple Word Documents! 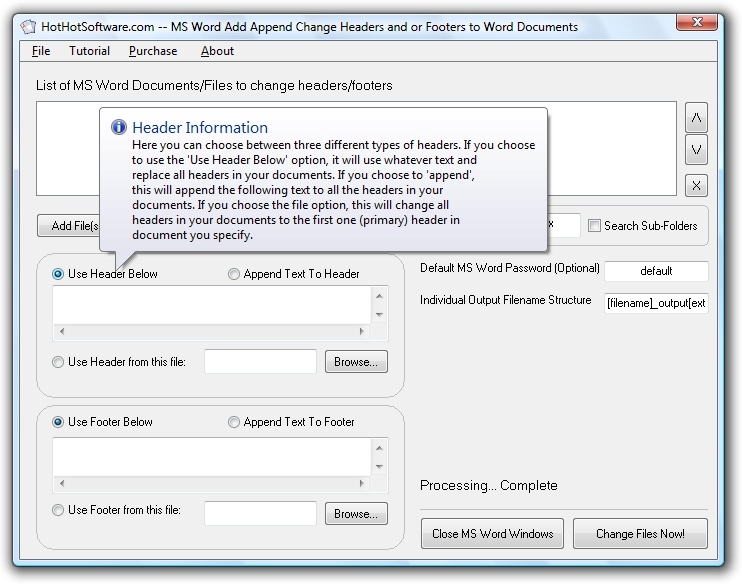 Once downloaded, simply run the mswordheaderfooterchange.exe file, and then simply follow the instructions to begin using it. Enjoy! This software runs on Windows 98/2000/XP and Windows Vista.